In order to get the plan from napkin sketches all the way to completion, we needed a pro. One day a friend in PV sent over a link to a video of a walk-through of a guy’s house here in the neighborhood, and I knew we had our guy. 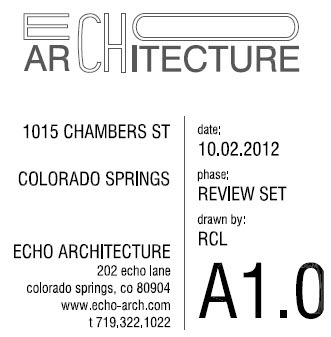 Ryan Lloyd is principal at Echo Architecture (http://echo-arch.com) and has worked alongside us throughout the many iterations of our design process, which felt at times like carving a marble from a boulder. We kept knocking off the edges and polishing details, and Ryan kept sending us back revisions. He was very cooperative, and put together a really great plan set. Ryan rides a fixie, wears Patagonia, and plays a mean game of Thanksgiving Day football…all of which were prerequisites when we were selecting an architect. We heartily recommend him if you need an architect for your project. BRUNKDBS is planning another project in the neighborhood in 2013, and Ryan and I have worked together on several floor plans already. Stay tuned for this project. It should be pretty cool.